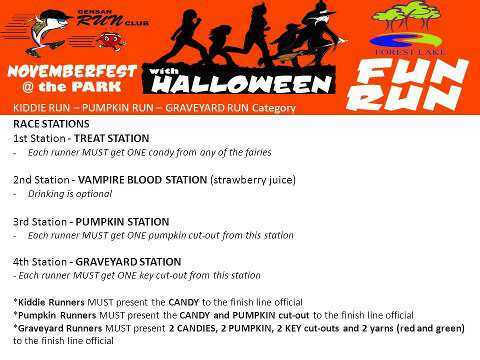 The local cemetery of General Santos City along with GenSan Run Club has initiated a Halloween fun run where categories include 1.6KM, 3KM and 5KM. And, unlike a typical fun run, this Halloween race shall include hurdles of all tricks to make the run extra fun as they traverse the cemetery loops. More importantly, to make the race extra special, runners in costumes shall avail of the prizes plus some raffle freebies for the lucky winners. Who says visiting a grave can be that gloomy? See you in the race.